Christmas cards are some of my FAVORITE cards to create! How about you? Do you make your own? I like to add little handmade touches to my gifts I give. 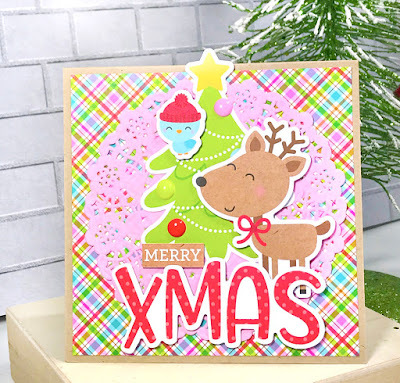 The Christmas Town collection has some really fun elements and I am sharing with you a few cards that I whipped up. Here are a few close ups of the cards I made. I used lots of the Odds and Ends on my cards. They are a card makers dream! So many fun options to choose from! This first card was made using one of the 3x4 cards on the Christmas Jammies paper. I love the effect that the cards have and this one was really fun to decorate. I added some Sprinkles and twine and few stickers from the This and That Stickers as well. The last card was super fun to make. I chose a few of my favorite critters and made a little grouping of them. Foam tape was added behind a couple of them for some varitey. 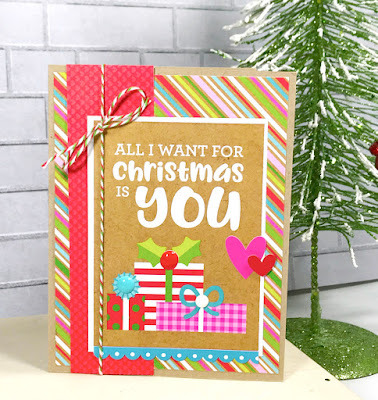 The banner title from the Chit Chat die cuts were the perfect sentiment for this card. I added a few heart stickers, die cuts, and a sprinkle for good measure! 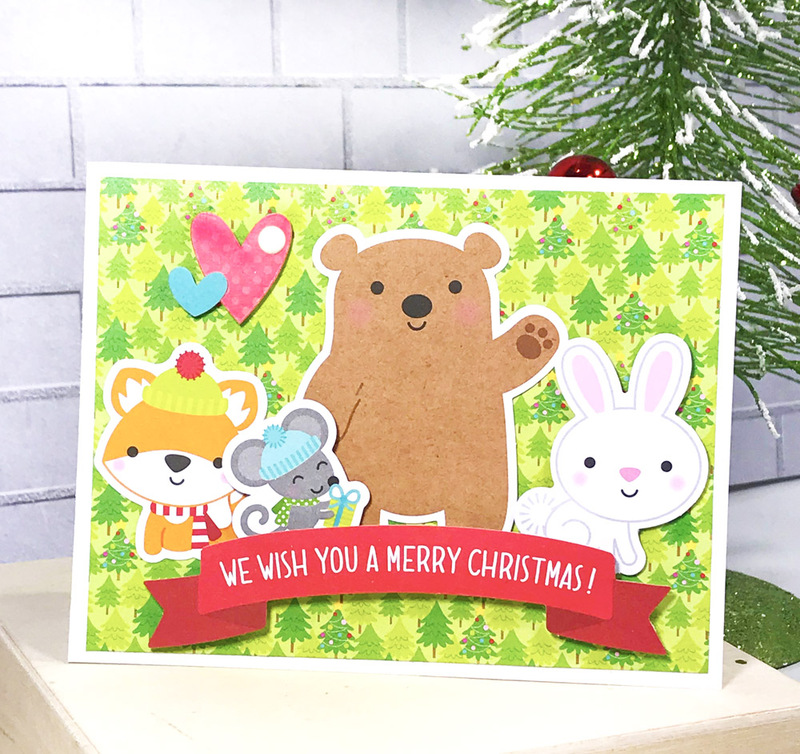 With the enourmous amount of die cuts that come in the Odds and Ends and the Chit Chat , I could have easily kept making more and more cards! The options are endless! So I hope I have encouraged you to pick up a few of these darling products and make a whole sleigh full of your own handmade Christmas cards! Thank you for stopping by today! Happy Crafting! Such sweet cards!!! Love your critter clusters!! !